It’s hard to find someone who hasn’t tried a smartphone game or two. Mobile gaming has risen in popularity for the past few years, but how do you find great games that aren’t made by big-name studios? Everyone’s heard of incredible mobile games New Smartphone? These 8 Games Will Push it to its Limit New Smartphone? These 8 Games Will Push it to its Limit You’ve just got a new smartphone, brimming with power, full of RAM, and with a top-end GPU to boot. There is only one thing on your mind – games, games and more games. Read More like Monument Valley, Threes!, and even Pokémon Go. But what about lesser-known titles that are sure to keep you entertained for a long time? We’ve rounded up some of the best mobile hidden gems on iOS and Android that are worth a download — or even a few extra bucks. Like match-three games but want something different? Match Land will satisfy those cravings with its unique and challenging match-three RPG 3 iOS Games That Blur The Line Between Puzzle And RPG 3 iOS Games That Blur The Line Between Puzzle And RPG Is it a puzzle game? Is it an RPG? It's both! Read More system. Plus, you capture monsters and serve them up as tasty delicacies to villagers in order to make precious coin. What makes Match Land different from say, Candy Crush (we have some great hints)? In Match Land, players create a team of up to five heroes of different colors. When you make matches on the grid, they allow the selected heroes to attack the monsters that come in waves. But to spice it up, once one creates a match, a countdown starts and lets players make as many matches as they can before time is up. This constitutes a single turn for the player before enemies are able to hit back. But don’t think that the critters are pushovers. Each enemy has a number above it that indicates the number of turns before they’ll attack. So it’s vital that players plan out their moves to dish out the most damage as possible, as well as recover some health points. Match Land starts out easy, but the difficulty of enemies picks up as you go. Match Land also features an abundance of heroes that players can collect and make different teams with. The game starts off with four beginning heroes, but as you play, there are figurines to collect for new additions. You must acquire a certain number of figurines before the hero unlocks, with the stronger ones having a higher threshold. In order to level up heroes, players need tokens. These come as rewards through battles, gifts, and chests. Once heroes reach their max level, they’re able to evolve. This calls for the “evos” that players get from their food stands once they’ve collected gold five times from a particular shop. The higher level a hero is, the more health, damage, and recovery they have. Match Land is a free game so there is a stamina system to limit play. It refills at a decent pace, and you can watch ads to get more stamina to battle or Quick Loot. The Quick Loot feature is useful, as you can just collect the rewards from stages where you’ve earned three stars. If you want a match-three RPG that is challenging and rewarding, then Match Land is one worth trying. It’s hard to put down once you start. Do you prefer a puzzle game that allows you to unwind 8 Relaxing iPhone Puzzle Games That Can Help You Unwind 8 Relaxing iPhone Puzzle Games That Can Help You Unwind Sitting in front of a game on your iPhone is one of the easiest ways to unwind, especially with a few calming puzzles. Read More after a long day? Then Domino Drop could be just the thing. Domino Drop is a beautiful game that brings back the skeuomorphism aesthetic Digital Leather Binding: The Rise And Fall of Skeuomorphic Design Digital Leather Binding: The Rise And Fall of Skeuomorphic Design "Skeuomorphic" design – software that resembles the physical objects it replaces – went from being the hot design principle to an insult in an amazingly short period of time. Read More from a few years ago. Think of a wooden box of dominos that stands upright, where domino pieces fall in from the top thanks to gravity. It’s amazing eye candy for those who appreciate fine details, and the sound effects are also incredibly realistic. There are three game modes in Domino Drop, but the concept for all of them is the same. Dominos appear at the top of the box, and players slide them left or right with their finger. The moment you release your thumb from the screen, the domino falls down. Players cannot rotate the pieces. Your objective is to match the like-colored halves with each other. When half of a domino clears out and there’s nothing below the other half, that piece falls down. This can lead to some serious combos, but only if you line the pieces up right. The premise sounds simple enough. But when the box begins to fill up and you have to drop some dominos in that don’t match, the action gets intense. The round always ends once the board fills up. Included game modes are Classic, Tails, and Pro. Classic and Pro are the same, except Pro does not tell you what the next piece will be. Tails focuses on the white dominos, which normally require at least four pieces to clear out. In Tails, as you clear the white pieces out, the number needed to get rid of them increases by one, making it more difficult. Despite the gradual uptick in difficulty, Domino Drop has proven to be one of the most zen-like puzzle games one can find. If you need to relax, Domino Drop is the perfect remedy. Do you like critical thinking, planning, and cute aliens? If you answered “Yes” to those questions, then Cosmic Express is right up your alley. One of the first things you’ll notice about Cosmic Express is the adorable visual style. The snowglobe-like stages are appealing, and the soft pastel hues soothe your eyes. Different variants of aliens behave in various manners, and it’s easy to tell them apart. Cosmic Express is a game that’s friendly enough for the entire family to enjoy. The goal in Cosmic Express is pretty straightforward. Just plan a train route for aliens on a space colony so that they can reach their destinations. The starting levels are easy, but when more aliens appear and the game adds numerous destinations, your task becomes more complex. Since the train carries only one or two passengers at once, you’ll have to plan ahead. To add to the challenge, the tracks you lay out cannot cross each other. On top of that, the train must reach the stage exit to get to the next area after dropping off all passengers. More obstacles and aliens show up as you progress, so there’s always something new. If you’re worried about longevity of mobile games, don’t fret! You’ll find hundreds of levels spread out across different planets. Cosmic Express isn’t linear either, because some stages branch off into different paths once completed. It’s easy to lose yourself in the wonderful charm of Cosmic Express once you start. Have a hankering for solitaire but need a twist on the old formula? Then Pair Solitaire is a gem that’s worth a download. 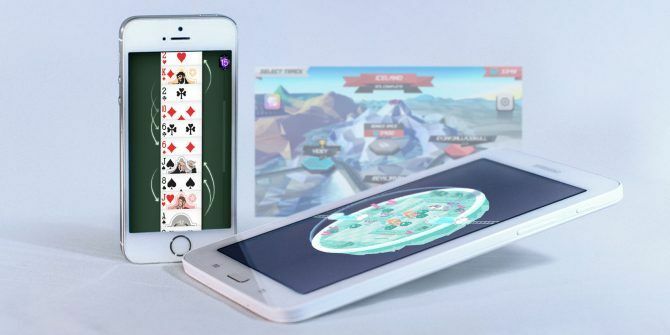 First, Pair Solitaire has a delightful interface design that will make anyone feel like they’re sitting in a casino 7 Best Casino and Poker Games for Android 7 Best Casino and Poker Games for Android Looking to play poker or other casino games on Android? You've come to the right place. Read More . The deck of cards and the texture of the table looks realistic. If the default style doesn’t suit your fancy, an in-app purchase gets you three additional card styles that are just as gorgeous to look at. The concept behind Pair Solitaire is a simple one: match pairs of cards until the entire deck’s cleared out. Pairs can be cards of the same suit or number, but there must be another card between the two. In order to get rid of a card that’s part of a pair, just tap on the one you want to get rid of. You repeat the process until no card remains. Pair Solitaire lets players know how many matches remain at the bottom of the table. If there’s a mistake, players can undo their last move, but no more than that. Sometimes, an undo is all you need to discover many more possible matches. When there are no more possible moves, the game ends. Depending on the number of cards cleared, players earn a gem that acts as a multiplier. Each cleared card gets you points, with the amount contingent on the card value. With this in mind, strategies should always prioritize higher-value cards before lesser ones. Though the regular mode will keep you entertained, there’s also a Daily Challenge mode. This presents a new puzzle each day for you to tackle. A word of warning: you only get two attempts for these, so learn from the first run. Pair Solitaire features a refreshing concept that provides plenty of depth due to the strategy needed. It’s challenging, addictive, and an excellent way to pass the time. If you crave a fun card game, then this is a must. While there are plenty of match-three puzzle games out there, none are as challenging and unique as Swapperoo. The premise of Swapperoo is simple to pick up, but every move counts so players must plan carefully. Just tap on an arrow piece to have it move in the direction that it faces. When three like-colored tiles (regardless of shape) line up together, they disappear and more pieces fall in from the top. Sounds like no big deal, right? Wrong! Swapperoo introduces hazards the longer you play, which make the game more challenging. There are bombs that detonate after a certain number of moves, armored pieces that don’t budge, tiles that chase you, and more. Swapperoo has a few game modes: Normal, Hard, Challenges, Endless, Gauntlet, and Timed. Normal and Hard are level-based and require progressing through one stage at a time. Challenges have objectives that you need to complete in a limited number of moves. Endless has you making matches as long as possible. In Gauntlet, players need to complete 26 objectives (from A to Z) in one go without dying. Timed is the same as Gauntlet, but pits you racing against the clock for the fastest time possible. There’s a lot to love about Swapperoo, and the game offers a huge amount of content for the price. This is definitely a necessity for any puzzle game fan. Looking for a non-puzzle mobile game? How about a retro racer that’s a homage to the classics The 9 Most Important Driving Games Of All Time The 9 Most Important Driving Games Of All Time Not all driving games are created equal and like with any art, someone creates something new every once in a while. So what are the most important racing titles in the history of video games? Read More ? Then Horizon Chase – World Tour is worth your time. As soon as you start Horizon Chase, you’ll likely be struck by the graphics 5 Games So Pretty You'll Forget They're Played on a Smartphone 5 Games So Pretty You'll Forget They're Played on a Smartphone If you're tired of playing yet another flappy bird clone and want games that are truly beautiful, you'll love these. Read More . The developers went for a classic 16-bit look that’s modernized and rendered in 3D. This results in realistic track environments from all over the world, but objects like trees have a more jagged, low-poly appearance to them. Cars look like the real deal, day and night cycle dynamically, and the weather changes constantly. Horizon Chase stands out among mobile racing games because it’s not super cartoony, but it’s also not entirely realistic like the Asphalt games. In Horizon Chase, you’ll go through nine different cups that take place in various international locales. Each cup consists of three cities that have three tracks within them. Players can earn up to three trophies on each track, with first place getting the gold. Three laps on the track make up the race, and there’s a total of 10 racers going toe-to-toe. But races and winning are more than just going up against other drivers. Blue token items are on the track, and it’s important to collect them if you’re a perfectionist — they add to your score. The cars also have limited fuel, so picking up gas canisters on the track will replenish your fuel supply. The more gas you end up with by the end of the race, the more bonus points you earn. Players start with a basic car, but you’ll gain access to bonus tracks as you progress through the game. If you win these bonus challenges, you’ll unlock new and better cars in your garage. The cars in Horizon Chase all have their own unique strengths and weaknesses. For example, one car may have faster overall speed than another, but may not have as good handling or acceleration. Eventually, you’ll be able to upgrade cars to improve their stats. Even if you’re not a huge racing game fan, there’s a certain charm to Horizon Chase – World Tour that makes it a must-have for anyone. It’s easily accessible too, with intuitive controls. In the mood for a quirky arcade game Ready to Get Weird? 7 Bizarre Mobile Games You'll Love Ready to Get Weird? 7 Bizarre Mobile Games You'll Love Flinging birds and matching candies is a ton of fun. But if you're in the mood for something out of the ordinary, check out these bizarre mobile games for Android and iOS. Read More , specifically in Breakout style? Then Breakforcist should fit the bill. Breakforcist is a title that stands out due to the distinctive breakfast and exorcism themes. The art style is also appealing, as it carries an aesthetic similar to the tokidoki brand with bright, colorful, and cute character designs. On top of the awesome visuals, Breakforcist has an original and fantastic J-pop/electronic soundtrack. In Breakforcist, players take control of a magic ball and paddle in order to save breakfast foods from an evil demon called Howdy. Howdy’s possessed an endless amount of waffles, and it’s up to the player to save these delicious treats. What makes Breakforcist more chaotic than the regular Breakout game? The waffles are constantly pushed down the screen, so once they reach the threshold line, it’s game over. As players get through each wave, the waffles drop faster, so there’s less time on each wave. You’ll find plenty of awesome power-ups in Breakforcist to help you out, though. When the egg blocks get hit, they will drop power-ups like Bacon Laser, Big Pancake, Fireball, Multi-Ball, and more. At times, if you acquire multiple power-ups, everything gets a bit frantic and chaos ensues. Players get an infinite amount of balls to work with — but once the waffles cross the line, it’s over. Scores are determined after each wave, with points awarded for the wave number, speed, and style. Essentially, the faster you are and the more power-ups you use, the better the score. In order to keep the game interesting, Breakforcist also has a goal system. This gives players objectives to meet while playing, and new songs unlock as you complete them. 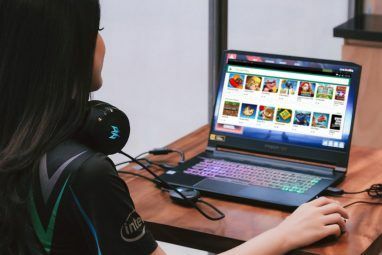 If you’re looking for the perfect bite-size arcade game 17 Fast, Fun, and Free Mobile Games for a Quick Fix 17 Fast, Fun, and Free Mobile Games for a Quick Fix Sometimes you just need a game to kill five minutes. These great mobile games let you have fun in short bursts. Read More that will keep you busy for a few minutes at a time, Breakforcist does the job. What Hidden Gems Have You Discovered? There are a ton of mobile games out there, and these are just a small sample of real gems that are available. These games prove that it’s not only big-name studios who can put out quality titles for us to enjoy. Dig a bit, and you’ll find awesome titles on the App Store and Google Play Store. Looking for more to play? 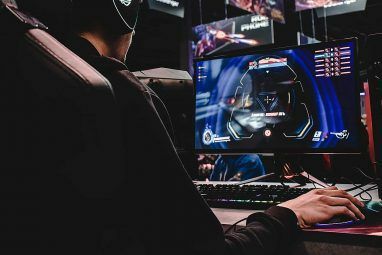 Check out the best free-to-play games without hidden costs No Hidden Cost: 7 Free-To-Play Games That Are Actually Free No Hidden Cost: 7 Free-To-Play Games That Are Actually Free Mobile gaming has a problem. You download a game, you start playing, but you hit a paywall. These games don't have that problem at all. Read More . 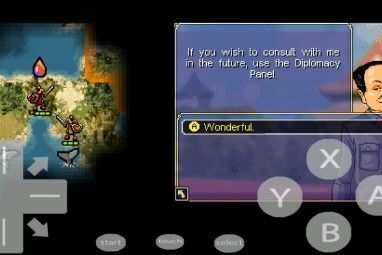 Do you have a favorite mobile game that not many people know about? Have any other recommendations? Let us know in the comments! Explore more about: Free Games, Mobile Gaming, Puzzle Games. I love Moto Race Fury - hope it will get google play version!